I thought that was weird that Thomas Markle said that. That explains a lot. I think she is bad news, tbh. Yeah she’s bad news because she was slapped by an ex? Having endured abuse in childhood, I would never tolerate violence of any kind. Meg and Harry. Read about Tom Markle’s interview on Good Morning Britain. Good luck to you. I hope that you find the strength to leave. Hopefully you have someone you can talk to you that will help and guide you out of your situation. Never encountered physical but did encounter the mental abuse. Luckily I had the money to leave. I waited until he was at work and we had all my stuff packed up in 45 minutes. By the time he got home I was 4 states away. I am not a religious person but I will pray that you can find your way out of this relationship. You must report him. It will change both of your lives. Ooh, Harry and Meghan Markle!! I was wondering why on earth her dad would say such a weird thing to Harry! Thanks for the tea BG, you always got my back! I’d have the SOB arrested! 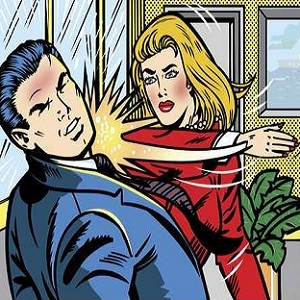 Ex who slapped her: Her ex husband??? This is about Sparkles. She must’ve told her dad that some husband or boyfriend hit her because when Prince Harry asked Mr. Markle for Media Meg’s hand in marriage the dad said something about how Harry better not raise a hand to her. It’s hard to believe anything that comes from Sparkles and her family. Dad might be putting that out there to try to garner some support for his Princess Pushy. Maybe a slap is why Sparkles’ first marriage was annulled. Dunno if 2nd hubby hit her. Megan Markle – her father gave an interview on GMB today. I’m guessing Meghan’s ex husband which is why he’s now her EX. It has been in the news today that Meghan Markles dad made Prince Harry promise not to ever raise his hand to Meghan. Her ex-husband is the guy who slapped her. A boyfriend, I would leave and never look back. Boyfriends get no second chances, they are disposable. Husbands, I’m just not sure what I would do if faced with that. I would never marry a guy with a bad temper in the first place. So hopefully he never does, so I don’t have to find out what I would do. This is Meghan Markle and Prince Harry. The ex is her ex-husband. Ex: the model ex boyfriend. This is Prince Harry and Meghan Markle. I have had one man raise his hand to me. My exact words were “you better make it good, because it will be the last time you ever touch me.” (He didn’t hit me) If someone hit me, I’d be gone. Forever. Her Ex Who Slapped Her: ?? I guess Trevor is the only other public fiancé she’s had, although rumored that she had a college husband that was anulled. Meghan Markle and her dad Thomas Markle. Fiancé obviously Harry. Ex boyfriend Trevor. This makes a lot of sense. If someone I was involved with slapped me, we would be done. That’s a line I won’t let anybody cross. Meghan Markle, Prince Harry, and I’m going to guess chef Cory Vitiello as the slappy guy. I was in an abusive relationship once. I started fighting back even though I always lost. I once broke my own finger hitting him back. So I know what I’d do: I would punch back or pick something up and clobber him. Our new duchess of Sussex?